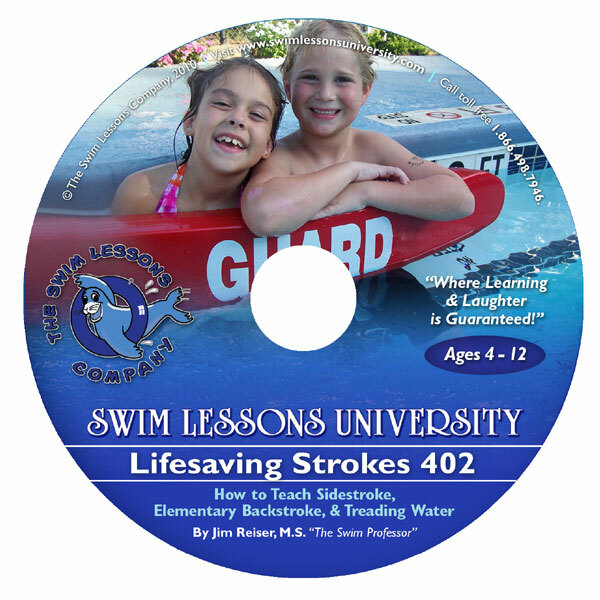 Order the Lifesaving Strokes 402 DVD today for your video library. You can order the online test separately (under Instructor Tools)for just $10.00 and you will immediately receive a Certificate of Completion signed by Swim Lessons University president Jim Reiser and WABC president Steve Graves. 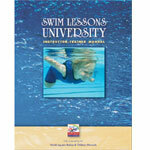 Watch the Life Saving Strokes 402, How to Teach Sidestroke, Elementary Backstroke, & Treading Water video online (up to 5 views) then successfully complete this online test and you will immediately receive a Certificate of Completion signed by Swim Lessons University president Jim Reiser and WABC president Steve Graves. In the Lifesaving Strokes 402 video, “The Swim Professor” will share with you how he teaches the sidestroke, elementary backstroke, and treading water. Not only are these important skills for a child to learn if he/she ever wants to become a certified lifeguard, they are also lifetime skills! Jim Reiser does a tremendous job breaking down these complex skills into simple, easy-to-follow, steps and progressions. 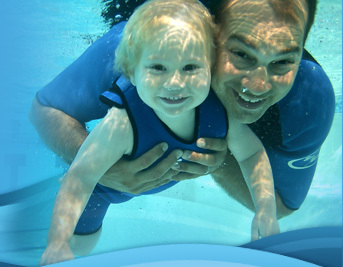 You will also get to watch Jim teach two seven-year olds how to swim strokes that they have never tried before! As always, you will get to see awesome underwater footage of the children learning the skills, as well as Jim demonstrating the strokes. The DVD also includes graphics that emphasize the critical techniques, components, and progressions! You are going to absolutely love the arrangement and Jim’s thoughtful organization and breakdown of the strokes and skills. Lastly, while this video was designed especially for children between the ages 4 to 12 year old, you can easily adapt it to teach students of any age! So what are you waiting for? ORDER YOUR COPY OF THE “LIFESAVING STROKES 402” DVD TODAY!